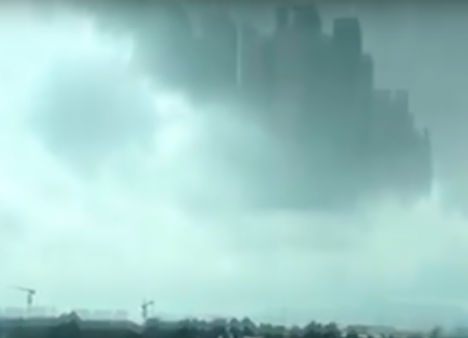 When thousands of residents of the Chinese cities of Jiangxi and Foshan reported seeing a ‘floating city’ in the clouds earlier this month, theories attempting to explain it ran wild, speculating everything from experimental holographic technology to glimpses of an alternate reality. 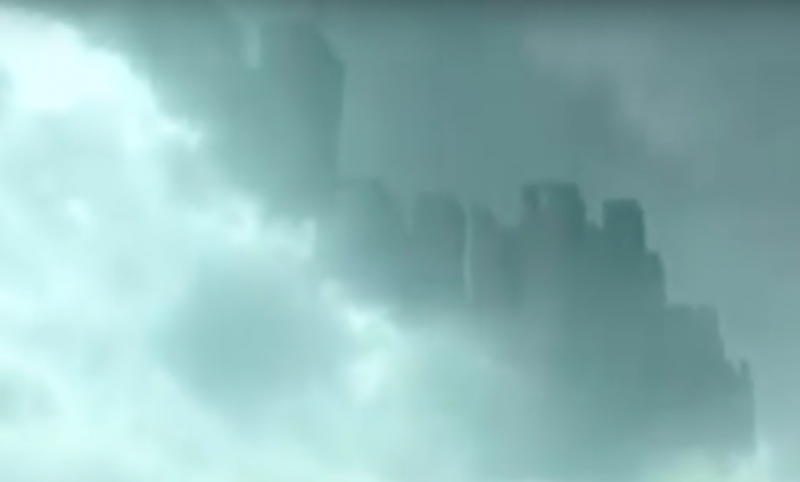 A shaky video captures what appears to be the silhouette of a city skyline high above the horizon, at a larger scale than that of the real skyscrapers on the ground. Naturally, conspiracy theorists are having a field day with this one, even going so far as to wonder aloud whether NASA is attempting to establish a new world order through something called the ‘Blue Beam Project.’ The most likely explanation may not be quite as exciting, but it’s still a fascinating phenomenon that has mystified people for centuries. As Wired explains, a Jesuit priest named Father Domenico Giardina swore that he saw a crystal city floating in the air over Siciily in 1643, which quickly transformed into a garden and a forest crawling with armies before it all disappeared. You might think he’d claim he had a mystical vision sent from God, but he actually mused that perhaps minerals and salts were rising up into vapors in the clouds and condensing to become a sort of moving mirror. That may not be entirely accurate, but it’s relatively close to the truth. 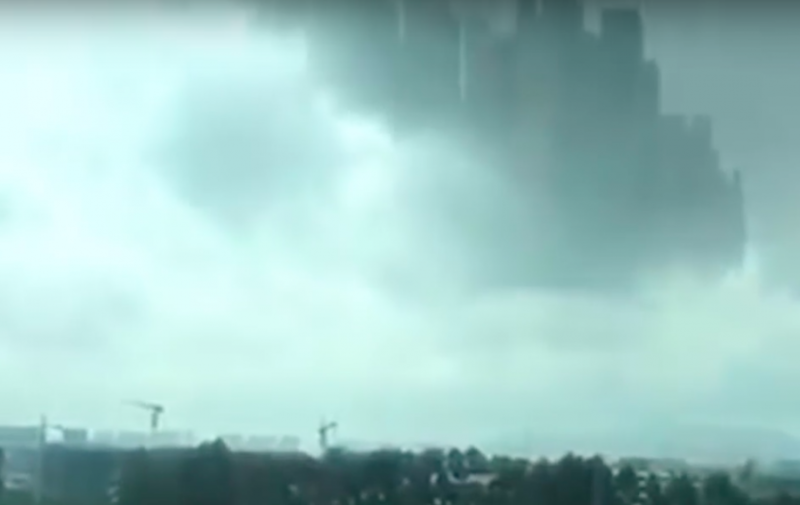 What we’re actually seeing in the video from China is most likely a ‘Fata Morgana,’ a rare type of mirage caused by a certain set of weather conditions bending light rays in just the right way. The clouds are essentially reflecting the nearby city. 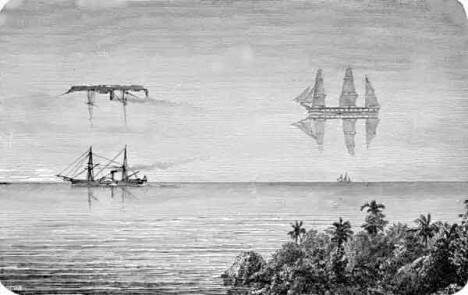 It’s most often seen above bodies of water, which explains the origins of the legendary ship the Flying Dutchman and hundreds of other age-old sailor stories about disappearing castles. 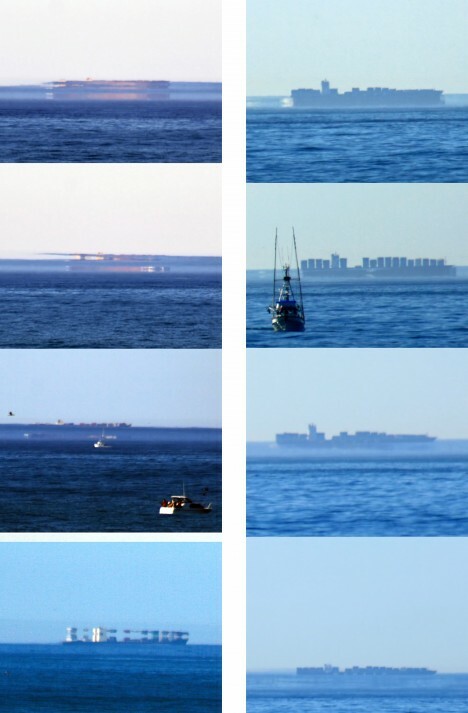 The images above show how two ships appear to change shape from one second to the next as well as an illustration of the Flying Dutchman, and a video of a ‘ghost boat’ that looks awfully similar to it. In the second video, what looks like a landscape becomes an amorphous, dissipating blob.